1. Mount support bracket onto the wall – preferably into a stud. 3. A cylindrical metal ‘Plug’ is then slid through the shelves into the top of the tower and holds everything in place. 4. The whole shebang is placed onto the bracket, and it is ready to ‘Play’. See what we mean here. 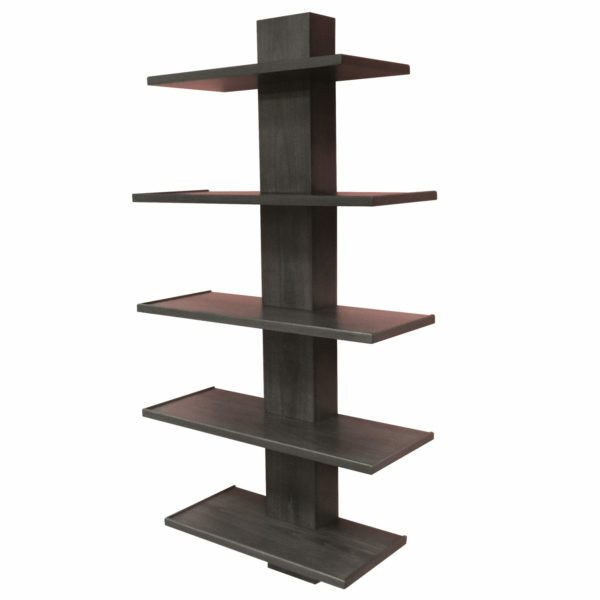 This solid Poplar shelving can fit almost anywhere, and the shelving sizes can be mixed and matched to fit your storage needs. Whether used for books, displaying collections or a mini shrine to Elvis, this piece will showcase your treasures and free up your floor space.